Telepresence technologies are usually marketed for business purposes, but also has huge potential for the home, connecting friends and family that may otherwise be separated. In this vein, a few telepresence robots that combine mobility and video chat capability have recently been seen in the crowdfunding circuit, all of which offer pretty similar functionality along with security monitoring. What’s different about the PadBot T1 is that it connects to a smartphone using Bluetooth 4.0 in order to cut down on size and make it portable. This makes it a true telepresence machine for both home and work. 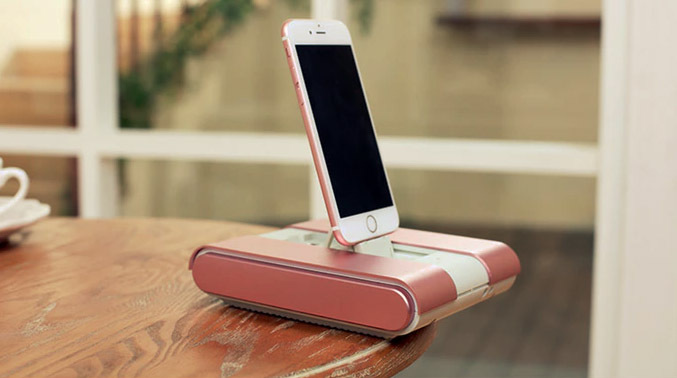 The PadBot T1 itself features treads to make moving smooth, an anti-collision to avoid damage to it and to others, an anti-fall system to stay in one piece, and a built-in charger to keep the connected smartphone topped up. The PadBot T1 uses a native smartphone application to handle video calls that necessitate the use of QR codes and friend requests on both ends in order to start up a video chat. White that may seem slightly cumbersome, the advantage here is the use of servers dedicated for the chat, hopefully for more stable video and sound quality over its 12-hour battery life. A PadBot T1 goes for $139 and is expected to ship in October 2016. Its Kickstarter campaign is looking for $20,000 by September 8th, 2016. This PadBot is a lot more compact than the other PadBot. In fact, it’s a lot more compact than most offerings like the EMotion and Telemba designed expressly for telepresence yet are too cumbersome to think about moving from one setting to another. Other small robots out there, like the Appbot Riley, focus mainly on security but still offer telepresence functionality in a less portable form factor. The PadBot T1’s use of a smartphone puts it in a good place in this regard but still relegates the phone useless when connected, making the Appbot Riley overall more useful.